This is one of many quotes that has made the former basketball player the best even after his retirement from this sport. It also allowed him to give his full attention to his 2nd love, namely the game of golf. Jordan first learned to play golf as a college Junior before the glitz and fame that spotlighted his basketball career made him take up the 2nd sport. A few years ago, when he increased his appearances in the CGA (Celebrity Golf Association) he was profiled in the tournament’s guide, which revealed some extremely impressive statistics. 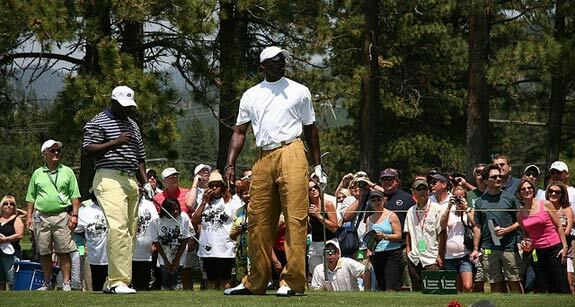 According to an article (which is cited in TheGreenMagazine), Michael Jordan is a member of approximately 12 private golf clubs and owns more than (brace yourself) 40 golf sets! Oh and don’t let us start on his own (3,500 sq ft) putting green which he had installed in his own backyard. Perhaps a simple Olympic size swimming pool wouldn’t have cut it with the big guy. Plus his state-of-the-art golf computer equipment would even leave professionals gasping for breath! His busy schedule may not allow him to compete on a more professional level, but the former basketball player is known to complete 36 holes before the end of each day. 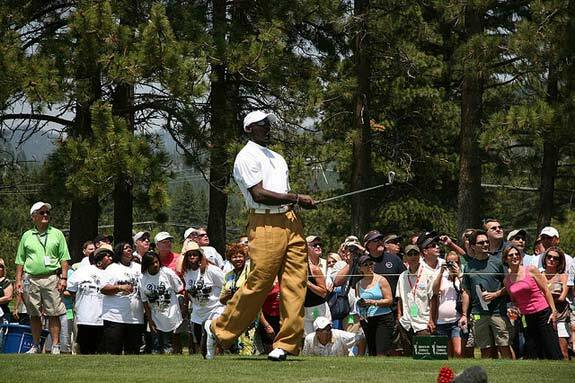 When asked about his technique in an interview by TheGreenMagazine, the former NBA star had this to say, “I had a lot to learn but I got good help for my swing right from the beginning so I was able to develop my game fairly quickly even though I didn’t have much experience.” Wonder what he could do with a baseball bat? Oh right, he couldn’t do much, but his experience with golf clubs has landed him as one of the best celebrity golfers out there. “I don’t do things half heatedly…if I do that then I can expect halfhearted results.”—- Inspiring!! Salute !